Burma, or Myanmar as named by the Military Junta who installed the military regime in Burma many years ago, is one of the countries where the Christians are severely persecuted and under enormous pressure from the military regime. Only 8.7% of the population of 49 million people are Christians while 83% are Buddhist and 3% are Muslim. The Lord has already used FTS Myanmar/Burma to make a significant difference in the lives of many people. FTS focuses on training poorly trained pastors from Burma. FTS humbly started training 25 pastors in 2005 and the number is increasing annually to the glory of God. 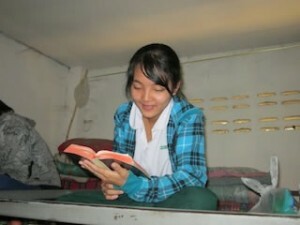 FTS Burma has also established 5 x Children’s Homes/Orphanages in Burma. One of our orphanages is situated next to two brothels. But the greatest Lover of children, Jesus, is keeping His hands of provision and growth over our Burmese children. In partnership of passionate local Burmese pastors FTS is reaching out to “unreached” villages in Burma. Through the grace of God and Service Evangelism e.g. building toilets, the Lord has used FTS to bring entire villages into a relationship with Himself. In this way more than 10 x villages have already come to know Jesus as their Savior. ± 12 x Churches have already been planted and ± 35 indigenous Burmese pastors are still being trained by the Lord’s Free To Serve team. The Lord Jesus Christ is today inviting you into a partnership with Him reaching His lost sons and daughters from Burma. Yes, you can make the difference! Will you help to bring in the Lord’s harvest? Will you glorify our Father in heaven by getting involved?